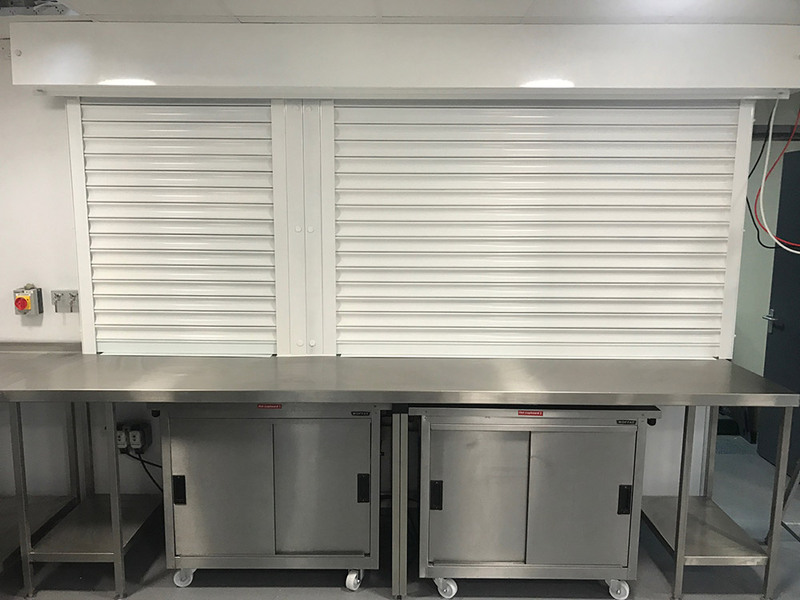 Westwood Security Roller Shutters specialise in the manufacture, distribution and installation of domestic and commercial kitchen roller shutters for all types of organisations and customers. 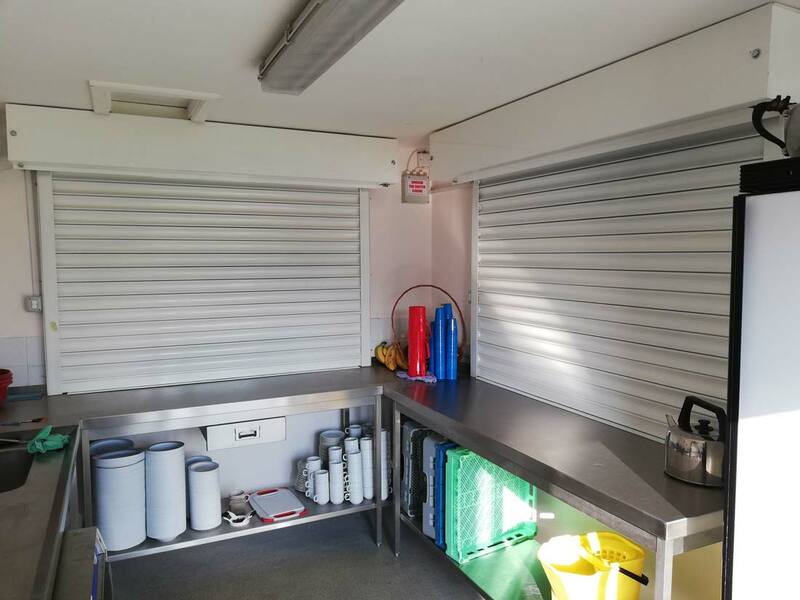 Each of our quality roller shutter doors is tailor-made to suit the specific environment of the client. Would you like a quote? 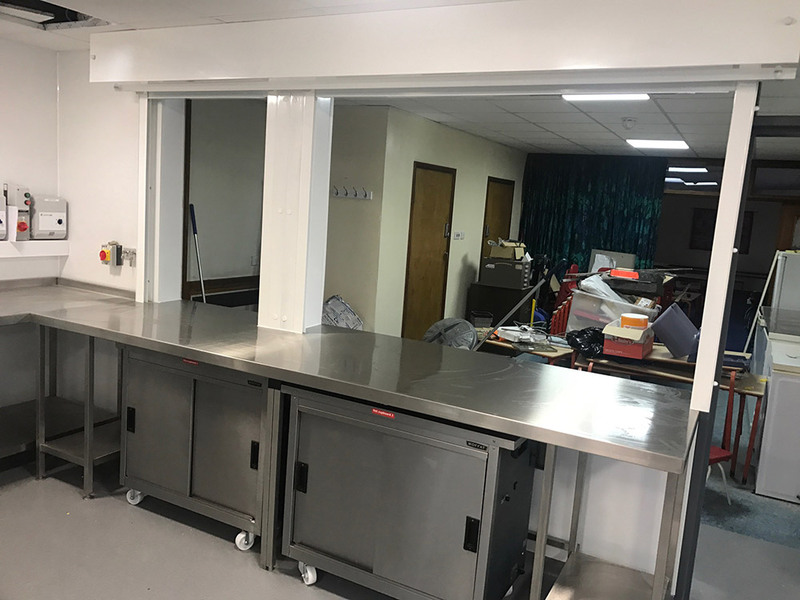 All we need is the opening of your servery and location and we can quote within the same day. *Please note that we manufacture Single and Twin Skin Lath Fire Shutters tested to Exova Fire and Safety BSEN 1634-1 providing up to 4 Hours of fire resistance. The Double Skin Insulated Lath offers additional heat radiation protection. 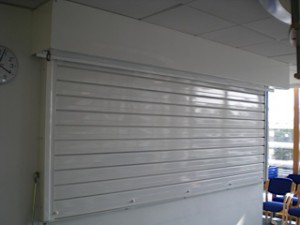 Would you like advice or a quotation for your kitchen roller shutter or any related requirement?